Click here for textbook topics. The articles below have been written or adapted exclusively for PathologyOutlines.com. They reflect the views of the authors, and not necessarily those of PathologyOutlines.com. Contributors have paid a fee to appear on this page. 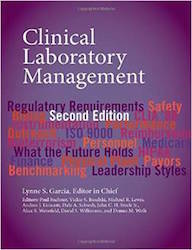 Cite this page: Pernick N. Archive of Management articles. PathologyOutlines.com website. http://www.pathologyoutlines.com/topic/archivemanagementarticles.html. Accessed April 20th, 2019.